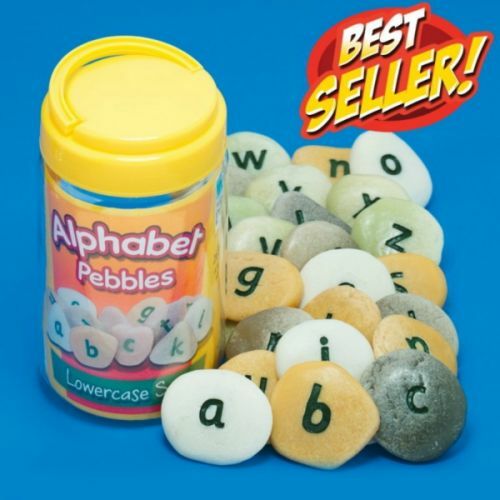 Specially cast from a durable mix including resin and stone, these popular alphabet pebbles appeal to children's natural instinct to explore, investigate, sort and collect. Ideal for use in sand, water, small world and outdoors. Pebbles measure between 30-45mm and come packaged in a handy storage jar. Contains 26 alphabet pebbles, each engraved with a lowercase letter - ideal for letter recognition.